Storing your documents in one spot might have been difficult, until of course you intelligently clicked on our Folders page. Here you'll find that you will not only get the perfect storage, but you'll get some stylish additions to your office space too! 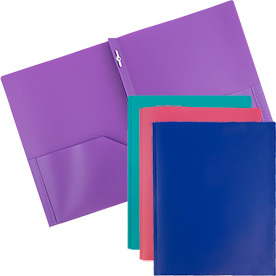 We sort our poly folders collection by style, size, or color making it easy to pick your favorite. 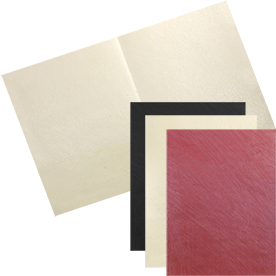 Once you click on one of our categories, you'll find an assortment of different variations suited for you. The best part about our color presentation folders is the long lasting material. 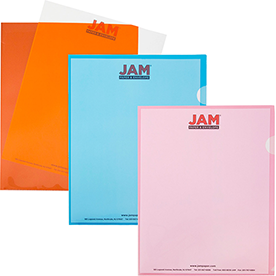 Since most of our full color presentation folders are plastic, you'll be able to use the quality folders throughout the school year and not have to worry about buying more due to wear and tear. 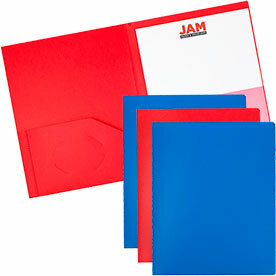 Our Glossy Folders are available in a shiny gloss finish with options for 3 hole punch or fasteners too! 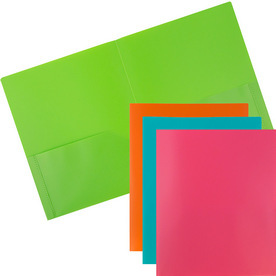 Our wide variety of colored folders, from Metallic Leaf Green to a pink folder, from a Black to White Folder we have every shade for you. 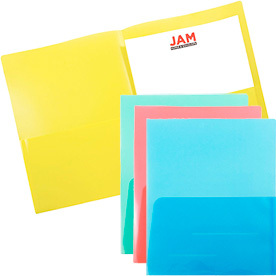 Want an opposite effect of the typical glossy folder? 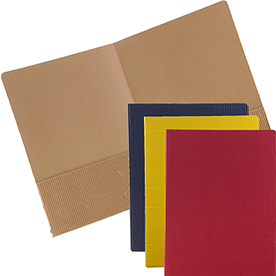 Try our Kraft Folders. You'll gain a classier look but still keep your vibrant style. 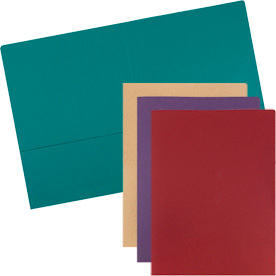 The lightweight cardstock is durable and easy to carry. 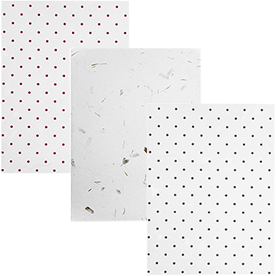 Our Eco Folders are great for our environmental friendly buyers and our Linen Folders are perfect for those stylish lovers. 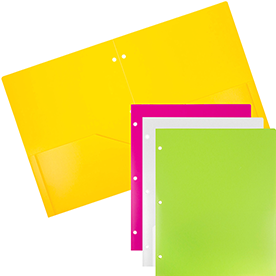 Your homework, presentations, and important work documents are now fully covered! 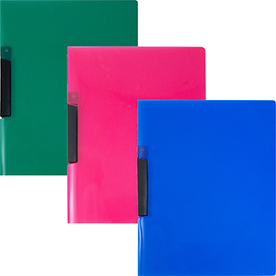 Want bulk folders? 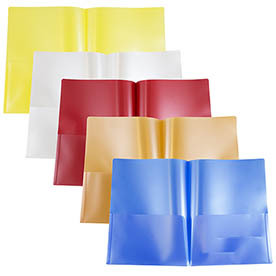 Check out our unlimited quantities! 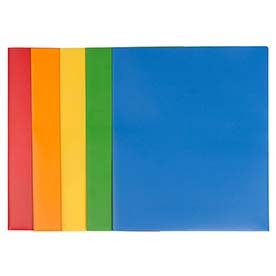 Buy Folders today!